Welcome to Emergency Dentists USA. While you are enjoying your stay in Lakewood, Colorado, do not let a dental emergency stress you out and ruin your day. We at Emergency Dentists USA have done everything necessary to find the best emergency dentists in the area and compiled a list for you, which saves you the time of having to search through a sea of dentists. You can be confident that the right emergency dentist is there to help you during your dental emergency and that they’ll get you back to loving your stay in Lakewood. Emergency Dentists USA is here for you, making it that much easier to find just the right after hour dentist. Our helpline operators are there to help you select the best dentist to serve you during your dental emergency and can walk you through the process 24 hours a day with a simple phone call to our center. Finding an emergency dentist in Lakewood does not have to cause you untold stress. There are so many options when it comes to after hour dentists to assist you during your dental emergency. No matter what your emergency, there is a dentist here that can help you and get you on your way to a better day. After hour dentists are there to help you even later in the day than is standard. There are a few different ones to choose from in Lakewood. Lakewood Dental of Colorado provides after hour care Monday, Tuesday, and Wednesday until 6 pm. On Thursday and Friday they remain open until 5 pm. Northstar Dental has varying hours Monday through Friday. They stay open late on Tuesday until 7 pm and Wednesday until 6 pm. Comfort Dental has late office hours Monday through Saturday. They are open from 7:30 am until 7:30 Pm each day to help you during your emergency. Lakewood Modern Dentistry is an after hours emergency dentist with late hours on Monday and Tuesday until 7 pm. Wednesday, Thursday, and Friday their hours vary from 3 pm until 5 pm. Emergency Dentists USA is an excellent source of information on quality emergency dentists in the Lakewood area. There are a variety of after hour dental clinics available that stay open late to better serve you. Lakewood is a great place to live and work and a dental emergency should not slow you down in enjoying it. Our 24-hour emergency helpline at Emergency Dentists USA is there to connect you to a live operator who can help you choose the right Lakewood emergency dentist no matter what your emergency is. Our listings are accurate and can move your search on and get you help fast. Description When traveling through the Lakewood, there are many ways in which a dental emergency could quickly present itself. If you’re having a dental emergency it’s important to get help fast. Call our hotline and we’ll help you find a dentist near you fast! 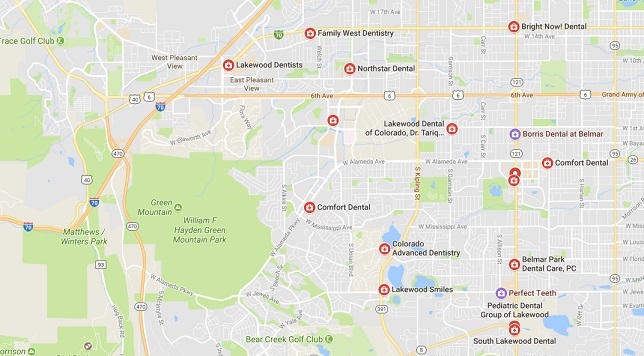 Lakewood Dental of Colorado has a fun friendly atmosphere while they strive to provide exceptional care. The team there is committed to providing you with the best care possible while treating you as a part of their family. They accept many different dental insurance plans and are there to answer any questions that you might have. The staff continues its education each year to stay on top of all the latest in the dental industry. Comfort Dental is there to meet your needs with a friendly staff. They offer a wide variety of services from braces to emergency dental care. Each office is independently owned and operated. They are open 12 hours a day Monday through Saturday. Lakewood Modern Dentistry is there to help you during your dental emergency. They pride themselves on keeping your smile looking its best using advanced proven technology. Their care is faster, less invasive, and more efficient thanks to that technology. They accept many different insurance plans and have after hours available. – A visit to your Lakewood emergency is much the same as a visit to your regular dentist. You can expect excellent care and similar service. Prepare yourself for your appointment by having all of your records on hand. Bring with you any health records and dental records you have available. 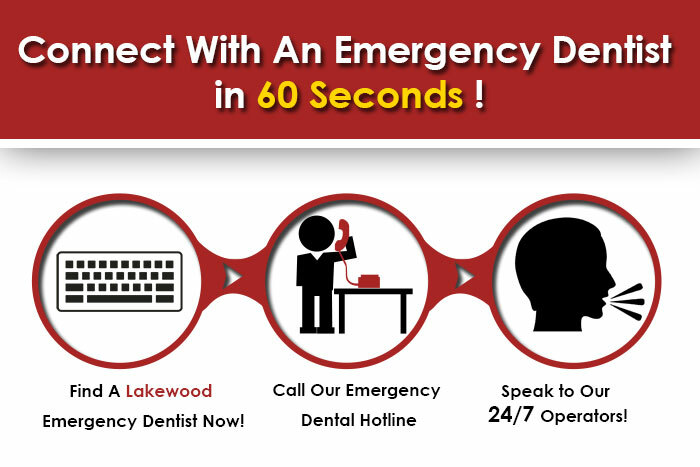 – Arrive at least 15 minutes early to your appointment with your Lakewood emergency dentist. This gives you time to fill out your paperwork and ask any questions you might have. – Talk to the office staff about your form of payment. Be certain that it is accepted as most offices accept cash, credit, and different types of insurance so you’ll want to know before hand. – Ask the dentist if they accept your insurance. 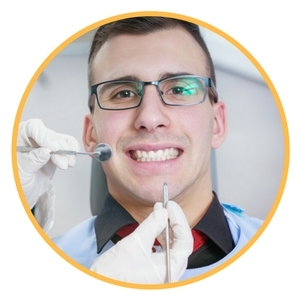 Most insurances require you to work with a dentist in their network to compensate them fully. – Make a list of all your current medications and supplements to bring with you to your dental visit. Also, make note of any allergies that you have. – If you have dental anxiety, please let the dental staff know before your appointment. There are steps they can take to help make you more comfortable. 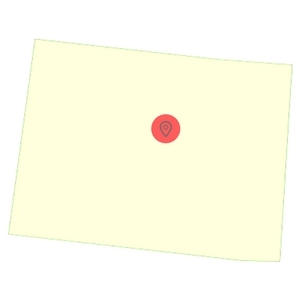 Lakewood, Colorado began back in 1889 by Charles Welch and W.A.H. Loveland. It is the fifth most populous city in the State of Colorado and is growing. There are several small lakes and reservoirs to enjoy in the state. The city has several historic buildings and mansions. There are interesting museums and theaters to enjoy. The Lakewood Heritage Center is a 20th century museum and is home to over 10 historic buildings and 30,000 artifacts. The city has many live performances and art galleries to take in during your visit. Lakewood is a wonderful place to visit and to live. 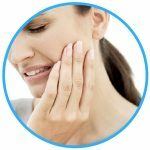 While you are visiting Lakewood, a dental emergency is one of the last things you want to be worrying about. Emergency Dentists USA has done the work at finding quality dentists in the Lakewood area. While there are afterhour dentists available in Lakewood, should you have an emergency and not be able to reach a dentist, there are hospitals available to help you 24 hours a day. 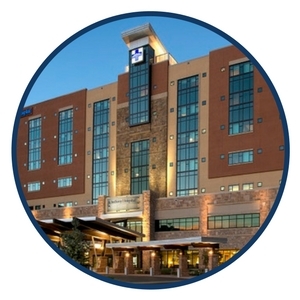 An emergency may strike where you need immediate care and there are hospitals available to you should that happen while you enjoying your stay in Lakewood, Colorado. Belmar ER is a medical center and is located on Wadsworth Blvd and they offer 24 hour emergency care. Centura Health Emergency & Urgent Care in Lakewood is an Urgent care center and is again located on Wadsworth Blvd but at a different address and they are open 24 hours to treat you. St. Anthony Hospital has an emergency room that is there to help you 24 hours a day. There are other options in surrounding areas and should you not know where to go you can always call 911 and get treatment. There are many common 24 hour dental emergencies that can stop you from enjoying your stay in Lakewood. A dental emergency should be treated as quickly as possible by any of the quality Lakewood emergency dentists we have listed on our Emergency Dentists USA website. A quick call to our 24-hour helpline will guide you to the right dentist for your emergency and get you moving on with your day. A broken tooth, loose braces, lost crowns, or a toothache is no reason to worry when any of the dentists listed can help you efficiently. Prompt treatment of a dental emergency is necessary so that your situation isn’t made worse by waiting. A simple toothache might not seem like an emergency, but left untreated can quickly ruin your week. Treatment can be found quickly and easily, and you are then able to get back to checking out all there is to do in beautiful Lakewood. A toothache can make even thinking a hard thing to do because of the pain it brings. The first thing you need to do is rinse your mouth with warm water. Next, use dental floss to remove any food that might be lodged in between your teeth. To help with pain and swelling, apply a cold compress to the outside of your mouth near where the pain is located. Do not ever put aspirin or other painkillers on the gum as this can burn the gum tissue. Go to your Lakewood emergency dentist as soon as possible. 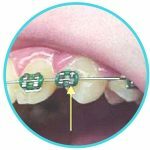 Broken braces or wires can cause you a lot of irritation. If the wire is sticking out and poking your tongue, gum, or cheek, you can use the eraser end of a pencil to reposition it so that it is in a more comfortable position. If you are unable to reposition the wire, you can try covering the end using orthodontic wax, gauze, or a cotton ball until you can get in to visit your Lakewood emergency dentist. Do not ever cut the wire as it can end up in your lungs or swallowed, causing you further issues. Contact your dentist as soon as possible. A knocked out tooth is one of the scariest experiences and you need to move quickly should this happen. First, retrieve the tooth and rinse it off holding it by the crown. Do not scrub the tooth. Try to place the tooth back in the socket, being certain that it is facing in the proper direction. If you can not replace the tooth, place it in a small container of milk or cell growth medium. Call the Lakewood emergency dentist right away as a tooth replaced within an hour of being knocked out has the best chances of staying back in the socket. An object caught between your teeth can cause a lot of discomfort. First thing you need to do is rinse your mouth. After that, use a piece of dental floss to carefully try to remove the object. Do not use a pointy object to pick at the object as this can cause damage to both the surrounding gums and teeth. Call your emergency dentist as soon as possible. Your teeth are extremely important, not only for chewing, but for talking and much more. There are times though that removing a tooth is absolutely necessary. 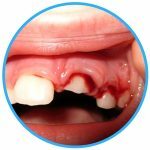 An emergency tooth extraction is the last thing a dentist wants to do, but if the tooth is damaged beyond repair by injury or infection, it may be necessary. Your dentist will do an exam and x-ray to see the exact course of action they will take. Once they have determined that the tooth must be removed, they will numb the area using an anesthetic. After the tooth is completely numb, they will remove it. A piece of gauze is then placed over the extraction site to aid in a blood clot forming. A blood clot is a good thing as it helps with healing and keeps the area from getting a dry socket which can cause a lot of pain. Keep the gauze in place, applying a bit of pressure, for at least 30 minutes. For the next 24 hours, do not smoke, drink from a straw, engage in vigorous exercise, or consume alcohol. Take any medication as prescribed. To help with pain and swelling you can apply a cold compress. If the pain or bleeding gets worse or you start vomiting or spiking a fever, contact your Lakewood emergency dentist right away. Your Lakewood, Colorado emergency dentist is there to handle any dental emergency that you have. They have all the best training necessary to treat any type of dental emergency in the most efficient manner. They are your best bet when it comes to lost crowns, toothaches, and broken teeth. Should you not be able to get into your emergency dentist, you need to go to an emergency room. This is especially true should the dental emergency involve a car accident or sports injury that involves more than just your tooth. The emergency room is there to take x-rays and exam you to make certain you have no further injuries. They can provide you with medication until you get into your dentist. They can not treat your teeth and will recommend you visit your dentist as soon as possible. Your child will get their first tooth sometime between the ages of 4 and 7 months old typically. Some babies get their first tooth as early as 3 months or as late as over a year old. A sealant is a film that is applied over the teeth to help protect them from damage. This is typically done in children who are not good at dental care to help prevent cavities. There is very little radiation from a dental x-ray in comparison to other medical procedures. You only get 0.005 during a dental x-ray, one of the lowest doses in all x-rays. There are many options when it comes to replacing a missing tooth. You can get a partial bridge, a dental implant, or or a partial denture. There are a number of things that you can do if you have a dry mouth. There is medication, mouthwash, and sugar free gums to help with dry mouth. You should avoid alcohol and salt as they can make a dry mouth worse. Three is so much to do and see while you are enjoying your stay in Lakewood, Colorado. There are beautiful parks, museums, and much more available to please everyone. This city is a large and fun place to visit or live. The Lakewood emergency dentists are reliable and are there to make sure you get the dental care that you require, even after hours. Finding an emergency dentist in Lakewood does not have to stress you out. There are many to choose from. There are after hour dentists there to help should you have an emergency even later in the day than a dentist is typically open. There are a few different ones to choose from in Lakewood, Colorado. Lakewood Dental of Colorado provides after hour appointments Monday, Tuesday, and Wednesday until 6 pm. Northstar Dental has varying hours during the week, Monday through Friday. They stay open later on Tuesday until 7 pm and on Wednesday until 6 pm. Comfort Dental are open from 7:30 am until 7:30 Pm each day to help you Monday through Saturday. Lakewood Modern Dentistry is an after hours emergency dentist with later hours available on Monday and Tuesday until 7 pm. An emergency can happen while you enjoying your stay in Lakewood, Colorado that requires more than the emergency dentist. Belmar ER and St. Anthony Hospital have emergency rooms that are there to help you 24 hours a day. Should you not know where to go you can always call 911 and get treatment. When you choose a new Lakewood emergency dentist, it is necessary to verify the dentist’s credentials with local state and city dental associations. The American Dental Association has a search option on their website. You can also find more information about Colorado dentists and their credentials on the Colorado Dental Association website.